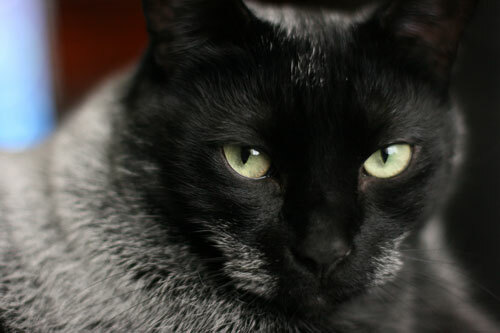 For the month of October, Cat Faeries is celebrating black cats. 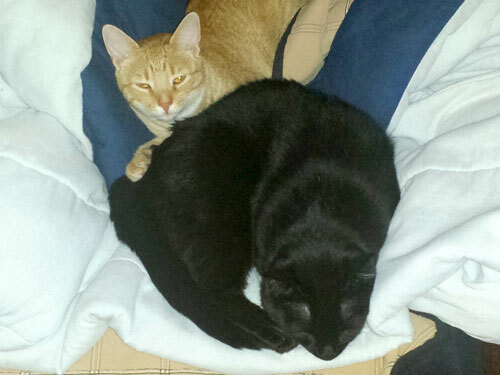 We will post pictures of our customer’s cuties and donate 1% of our October sales to several black cat rescue groups. 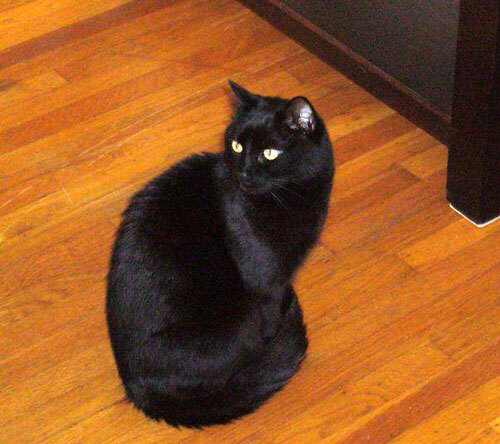 Here is Kaboodle…who was solid black and started turning white when he was about 3! Weird! But I think the white makes him even more beautiful! Thank you for featuring beautiful, black kitties! 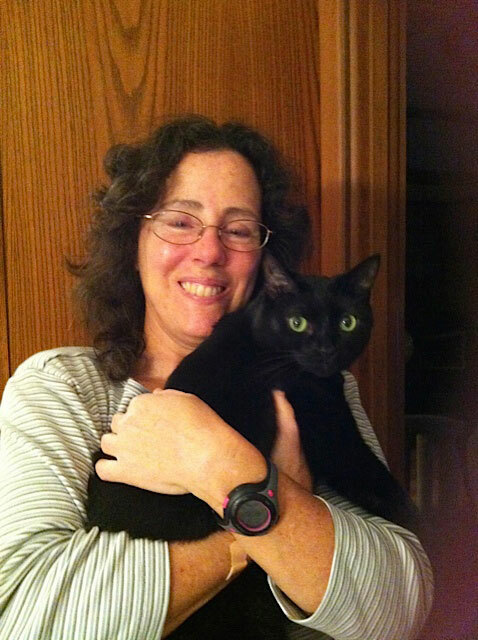 Black cats are the hardest for rescue groups to adopt out and place in loving homes. 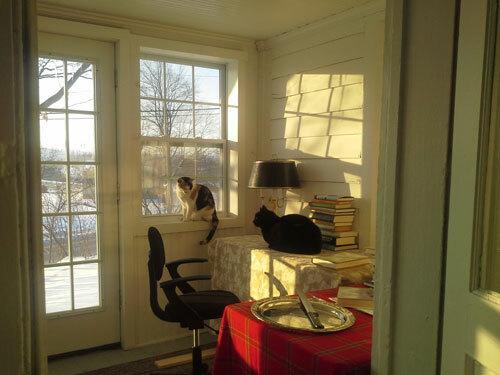 Do you have a gorgeous black cat or two? Send us their photos! Videos too! We’ll post them on Pinterest, our October newsletters, and on Facebook. Send them to catfaeries@catfaeries.com and put the words Photos for Pinterest in the subject line. …a photo of Midnight who I was fostering earlier this year, he was a shy fellow and had just come out of his shell. Unfortunately, his adotion was not a good situation and he has come back into foster along with his pal Pumpkin. Here is my cat Horatio, to celebrate black cats month! 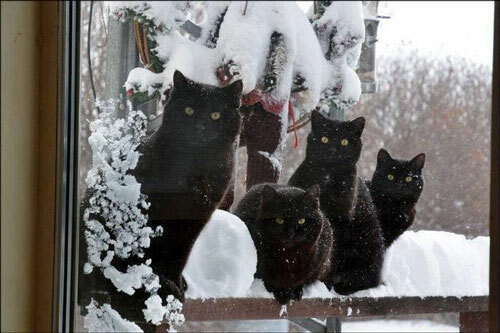 Hooray for black cats!! 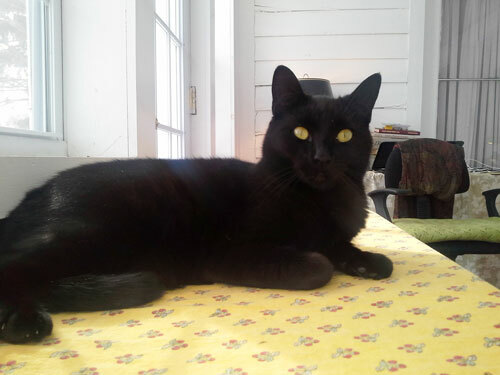 We adopted Bagheera from Animalkind in Hudson, NY (a cats-only rescue organization) on FRIDAY THE 13th (in December 2013). We didn’t realize the date at the time, just fell in love instantly seeing him across the room with a lot of other kitties. We are madly in love with him. So is our other cat. Here’s Baghie.